Rarely do I create two pieces that are identical. In fact, when I work with cremation glass, it’d be almost impossible to create two exactly alike. I can come close, but they will all be a little bit different. 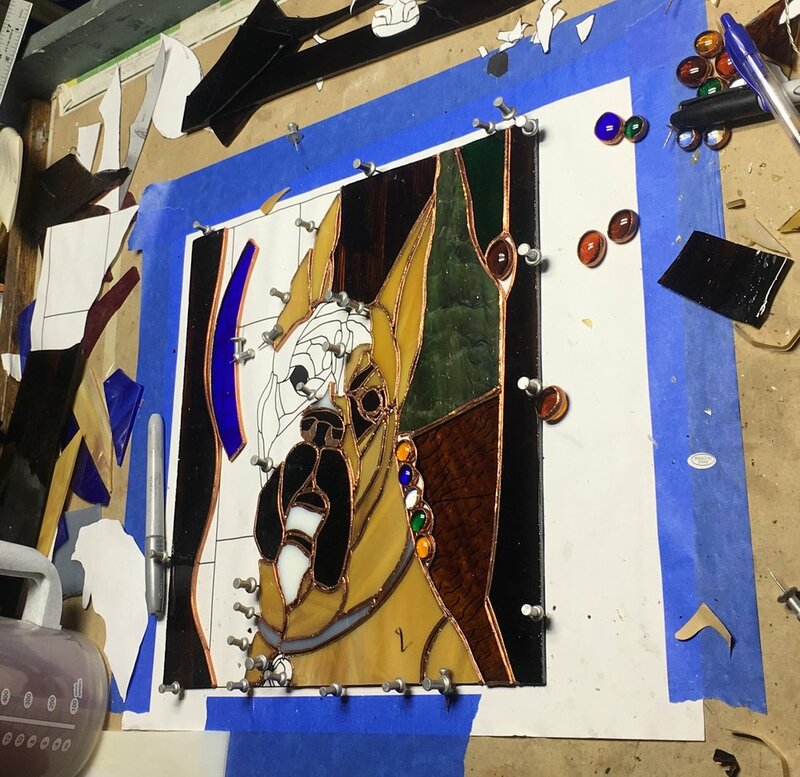 Whether you want a large piece to hang from a window, a smaller piece to hang on a wall, a garden piece to capture the sun in your outdoor space, a necklace or a set of refrigerator magnets, I am here and excited to create something for you that will make you even happier that the sun has decided to shine that day. Read reviews of customers who decided to give the art as gifts below and their experience below. Contact me and we can get started on your project. Lynee's work it stunning and unique. My co-workers and I purchased a Wizard of Oz piece as a retirement gift and the recipient was blown away. It is the perfect gift for retirements, weddings, anything! What an amazing talent!!!! 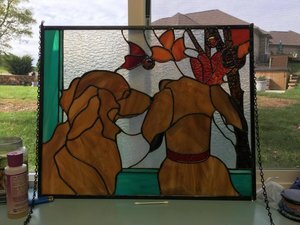 I told Lynee my idea, sent her a photo, and with 2 weeks I had my beautiful stained glass window piece. I will post pictures as soon as my husband opens his gift!!! He going to love it as much as I do!! !